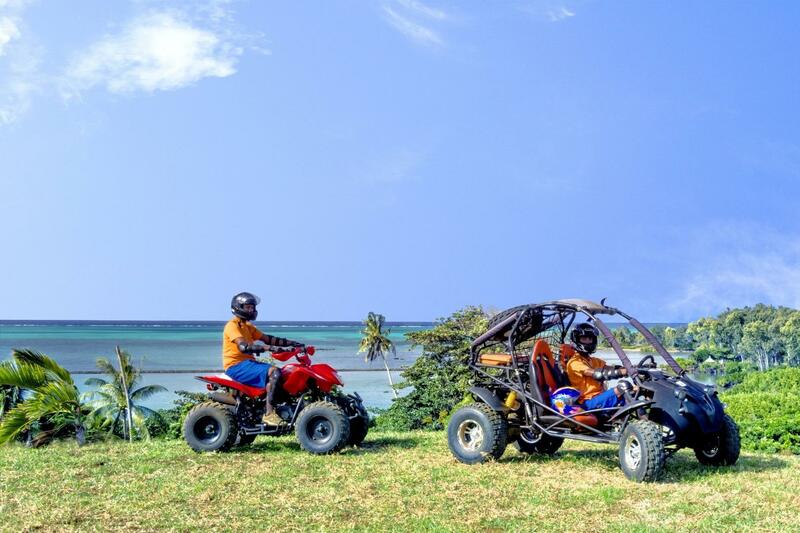 The five-star Haute Rive Resort is nestled along a white sandy beach near the town of Roche Noires, on the island's north-east coast. 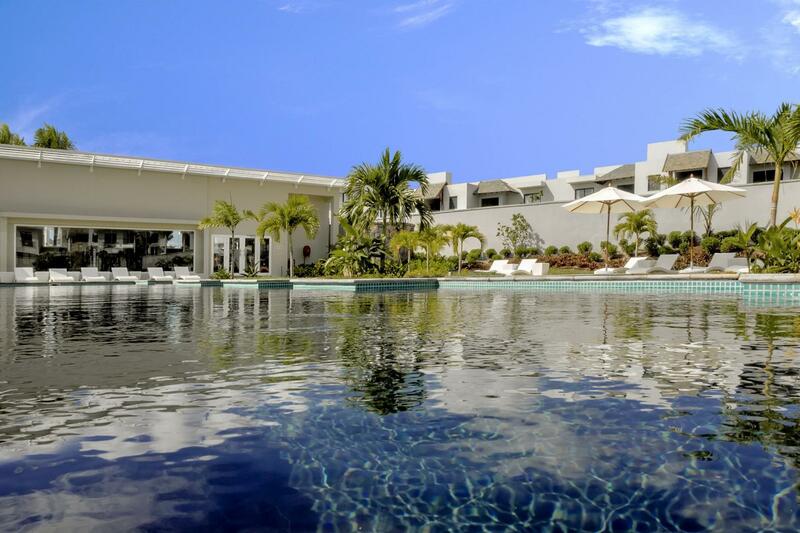 Its location provides guests easy access to the nearby Belle Mare Plage golf club and the shopping and nightlife region of Grand Baie. Port Louis, the capital of Mauritius, is just 30 minutes away. At Haute Rive, it is all about sunshine and palm trees, beautifully accentuated by lovely gardens and turquoise blue waters. 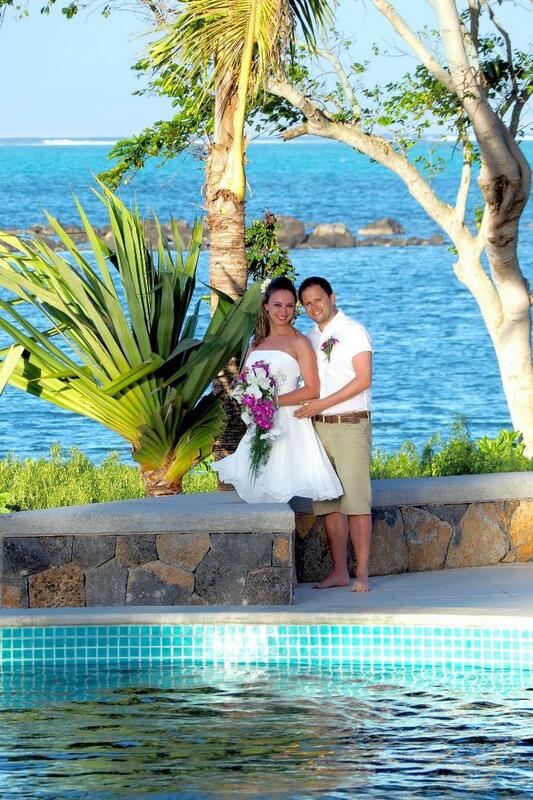 You will find the resort comfortable and welcoming from the very moment you arrive. 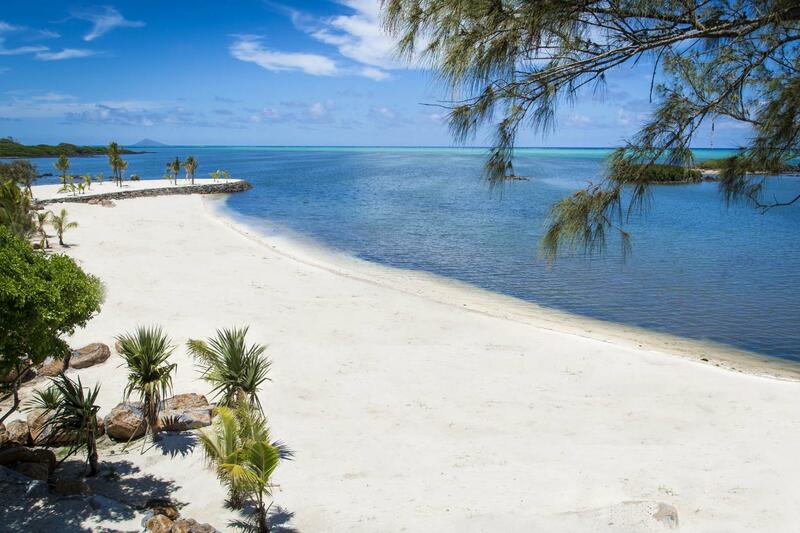 Haute Rive offers a private beach, two outdoor swimming pools, and a full range of beach and water sports activities. Haute Rive is a very modern resort offering 163 rooms in three categories: Deluxe Room, Deluxe Room with Ocean View, and Prestige Room. 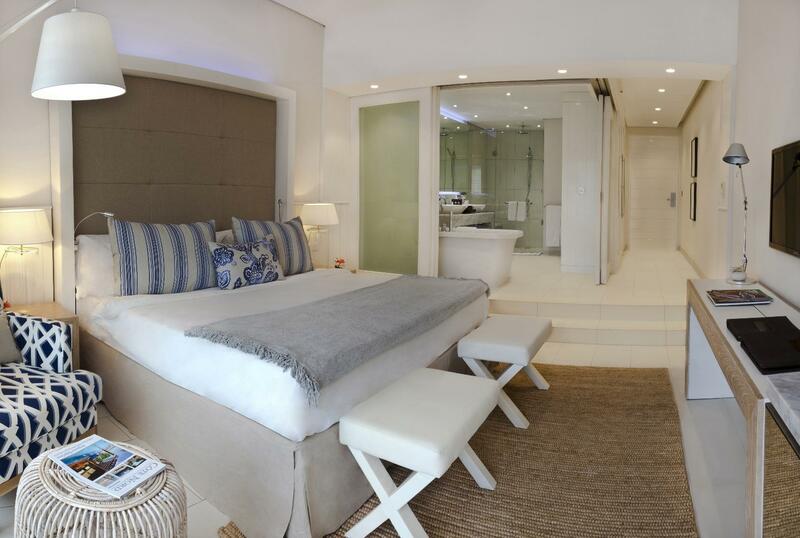 Every room has a private balcony or terrace with a view of the ocean, the lovely hotel gardens, or one of the pools. Rooms are furnished and decorated with a focus on the modern; traditional Mauritian accents remind you that you are enjoying one of the best locations in the Indian Ocean. Rooms include an extensive list of amenities as follows: air conditioning and ceiling fans, en suite bathrooms with separate bathtub and shower, free bottled water, flat screen TV, MP3 docking station, in-room safe, minibar, coffee and tea maker, espresso maker, daily housekeeping, and free Wi-Fi. You will feel right at home at Haute Rive, thanks to very comfortable rooms designed to provide plenty of space with a light and open feel. The accommodations are explicitly designed to enhance your relaxation for the best possible experience. •Le Comptoir – Le Comptoir is the hotel's primary restaurant, serving breakfast, lunch and dinner daily. At Le Comptoir, you will find an international menu offering the best flavours and textures from around the world. Mauritian cuisine is also featured here. •L'Azuli – If your preference is Mediterranean cuisine, you will find it at L'Azuli. Breakfast and dinner are your only options, but they are excellent options nonetheless. Enjoy a spectacular breakfast buffet or gourmet dinner in a very modern atmosphere with a variety of seating options. •The Café – The Café offers snacks and light meals daily. This is the place to go to enjoy something less-than-formal with a beautiful view of the water. •24-Hour Room Service – Resort guests can always dine in their rooms by taking advantage of 24-hour room service. 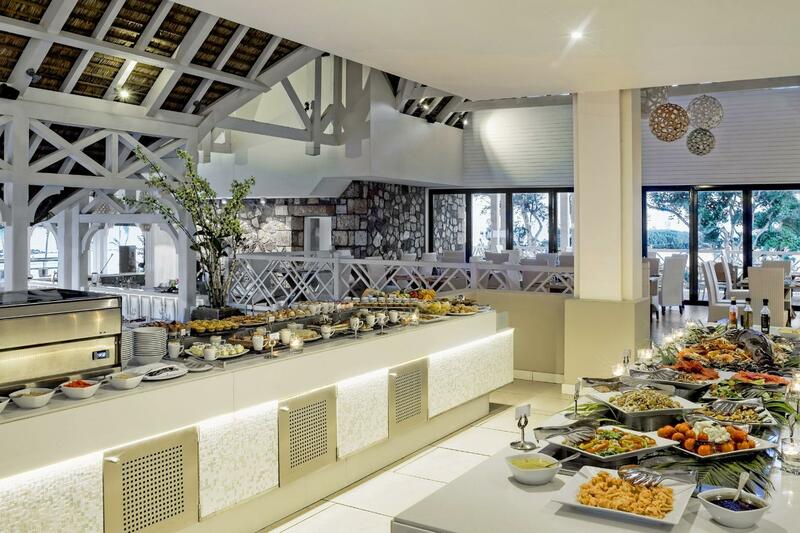 Choose from an extensive menu featuring Mediterranean, Mauritian and International dishes, prepared by world-class chefs in the hotel kitchen. 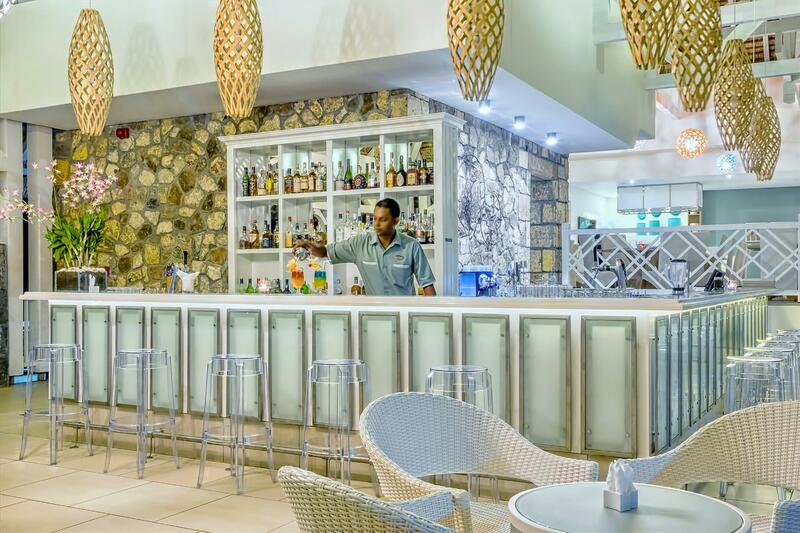 •Resort Bars – When you are just looking to enjoy a tropical drink or an exquisite cocktail, you can visit either the Cyan or Spa and Gym bars. Both are open daily.